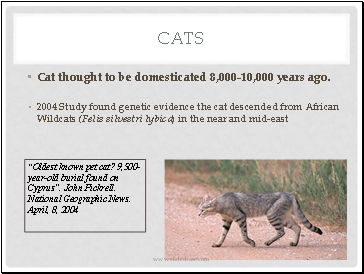 Cat thought to be domesticated 8,000-10,000 years ago. 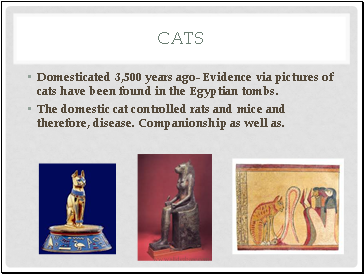 Domesticated 3,500 years ago- Evidence via pictures of cats have been found in the Egyptian tombs. 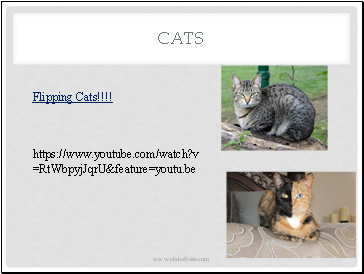 The domestic cat controlled rats and mice and therefore, disease. 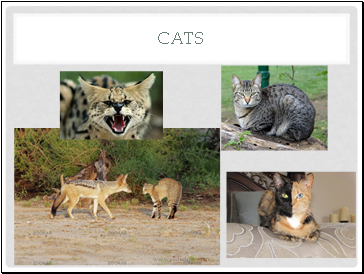 Companionship as well as. 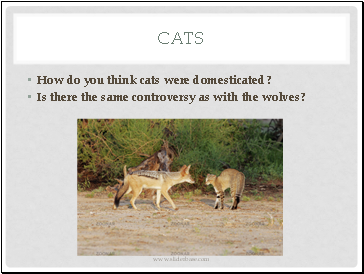 How do you think cats were domesticated? 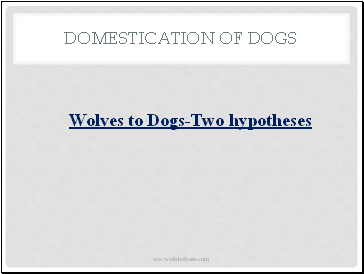 Is there the same controversy as with the wolves? 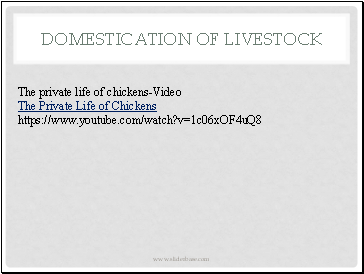 Livestock- domesticated animals raised in an agricultural setting for commodities, i.e. 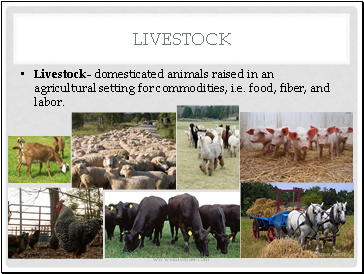 food, fiber, and labor. 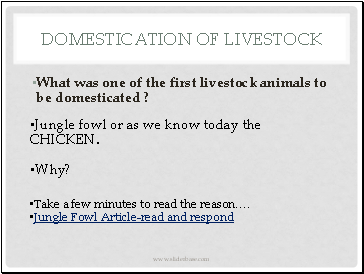 What was one of the first livestock animals to be domesticated ? 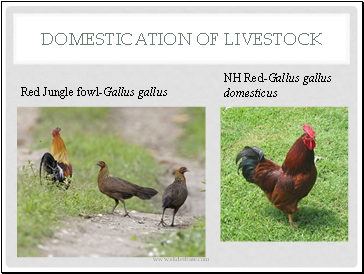 Jungle fowl or as we know today the CHICKEN. Take a few minutes to read the reason….